All parents are welcome to attend the DPAC Regular Meetings for Coast Mountains School District 82. Meetings are held monthly at 6:00 p.m. at the Coast Mountains Board of Education Office located at 3211 Kenney Street (Building A) in Terrace. Please reference the 2018-2019 Meeting Schedule provided below. Come meet your DPAC team! Why do we meet? We meet to give a voice to all parents in our school district and to answer and respond to their concerns on educational matters. We ensure the appropriate education partners hear our parents’ concerns. We provide information to our DPAC members to bring back to their schools for the benefit of the general parent population. We also meet to share best practices and celebrate success. Any Coast Mountains School District parent may attend a Coast Mountains DPAC meeting, however only the DPAC members or the elected DPAC representatives (or their designates) may vote. If an elected DPAC representative is unable to attend a meeting and wishes to send a designate in their place, they should inform the DPAC chair prior to the meeting. The Superintendent of Schools, district administrators and school district presenters are often guests at the DPAC regular meetings. Please contact any member of the DPAC Executive to find out more about their meetings and why you may want to attend the next one! Any suggestions for meeting presentation topics are welcomed by the DPAC Executive as well. 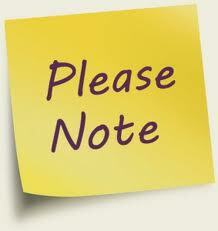 Note … there is no DPAC Regular Meeting scheduled in December or March. Coast Mountains DPAC General Meetings are open to ALL PARENTS!